Mountain Summit Filming: Any film is made up of hundreds, if not thousands, of individual clips. Most clips take from a few minutes to an hour to set up and shoot, but there are always clips that take up a disproportionate amount of time, labor, and/or money to produce, and The Power of Place is no different in that respect. There are a few clips in the film that take up anywhere from only 6 to 20 seconds that took up to two days worth of work each. That may seem like a lot of time to devote to a few seconds of footage, especially for a low-budget documentary like The Power of Place, but those clips are some of the most important in the film. One of the main reasons I decided to produce this film was to show some of the backcountry landscapes that are at risk of being visually impacted by the towers and cables of Northern Pass. There are several places within the White Mountain National Forest and along the Appalachian National Scenic Trail that will possibly be affected. Both are national treasures that deserve protection. In addition, there are several lesser known, but significant places at risk that are well-loved by locals and those from away “in the know.” Places like Pawtuckaway State Park and Nash Stream State Forest. 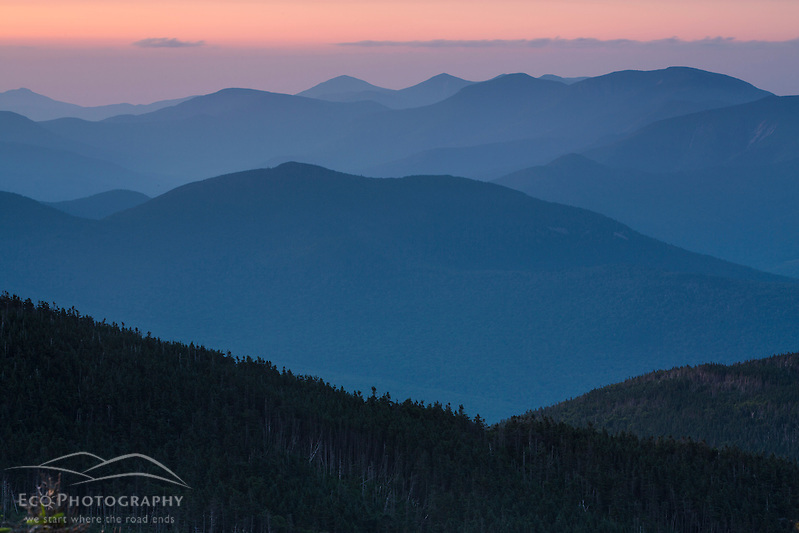 Three locations I was intent on shooting from were the summits of Mount Moosilauke and South Kinsman (both on the Appalachian Trail in the White Mountains,) and North Percy Peak in Nash Stream State Forest, along the Cohos Trail north of the White Mountains. All have rocky summits that look down to the proposed Northern Pass route, and all are steep hikes from the trailhead between 2.5 and 7 miles each way with 2000 – 2800 feet of elevation gain. Those of you who know me know that I’m not a big fan of photographing in mid-day light, so I wasn’t going to be satisfied to hike up, shoot a little lunchtime footage and hike back down in the same day. To shoot the dramatic early morning or late afternoon light meant hiking up or down in the dark , but what I decided to do instead was hike up each summit in the afternoon, shoot sunset, then stay up top to shoot night sky scenes and then sunrise before hiking back down the following morning. My reason for doing this was to portray these landscapes in a dramatic way to match how I believe people feel when they hike to these places. The above timelapse sequence was shot on the summit of South Kinsman. What looks like daylight in the first half of the clip is actually moonlight lighting the cairn and Franconia Ridge in the distance. South Kinsman was the most labor intensive of our three “all-nighters.” If you watch the above video, you’ll notice the camera moves during the time lapse sequence, which required use of a dolly and controller (I used a Kessler Pocket Dolly). This rig added about 30 pounds of gear to my usual set up. Thankfully I had the help of my associate producer, Kari Post, and two volunteer “gear luggers” – my photographer friends Tom Gilmore and Ben Williamson. Of course, the day we made the trip was one of the hottest of the summer and it was a long, steep hike from Route 116 in Easton. 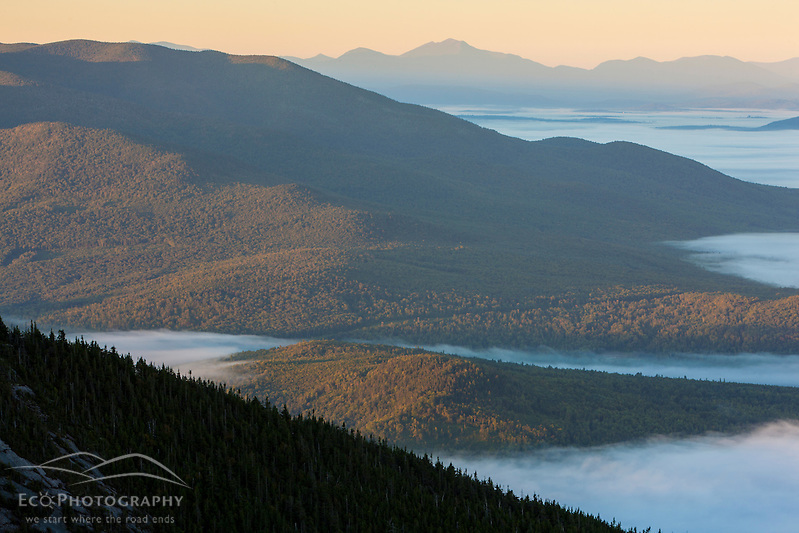 On Mount Moosilauke, I had help from my friends at Be Better Studios, Amy Richard and Ethan Sager. The hike up Moosilauke wasn’t as hard as South Kinsman, but it was a more challenging night as the wind blew a consistent 20 – 30 mph and fog rolled over the mountain for much of the night. It made long time lapse sequences like the above all but impossible. Thankfully, there were moments of sweet light both at sunset and the following sunrise, making the trip worthwhile. Just Kari and I made the trip up North Percy Peak, where we had super clear skies, which made for some great photos and video, especially when the valleys below filled with fog before sunrise. All in all, we spent six days for a total of about 3 – 4 minutes of usable clips, but they are the kind of footage that I think gives The Power of Place the visuals that people will remember long after watching the film. It’s only 9 days until our premier screening at Red River Theatres in Concord on March 11th. I hope to see you there!